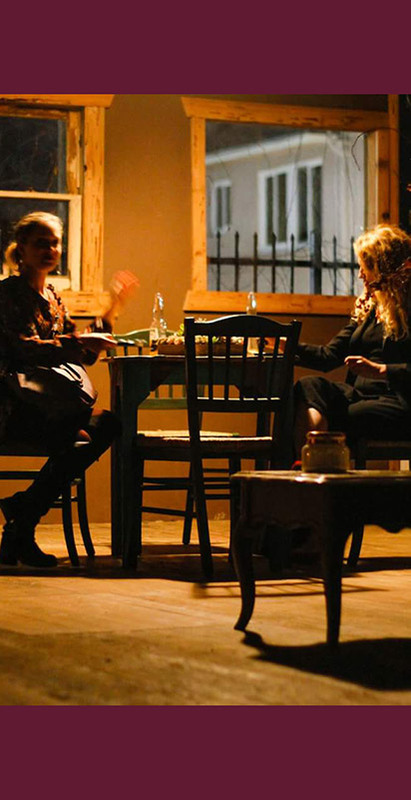 located in the heart of San Diego where the arts are celebrated and the senses are fed. Home base for celebrated Cross-Border Chef Flor Franco, Franco on 5th is a place for people to meet, to share ideas, to learn perspectives, to engage sight, sound, and taste. 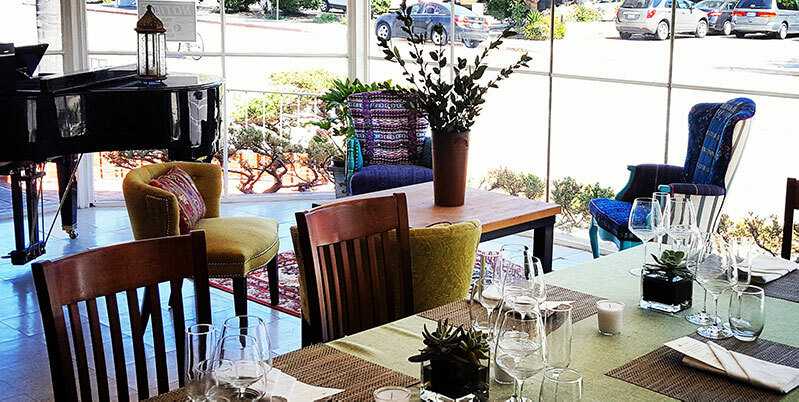 This unique venue for private events surrounds its guests with vibrant art, Chef Flor Franco’s world-class food and her Franco Group’s brand of hospitable service. The gallery is home to exhibits from internationally acclaimed artists and serves as the background during private events. The workspace serves as a classroom, where artists and chefs offer classes in everything from heritage foods to fashion and painting. 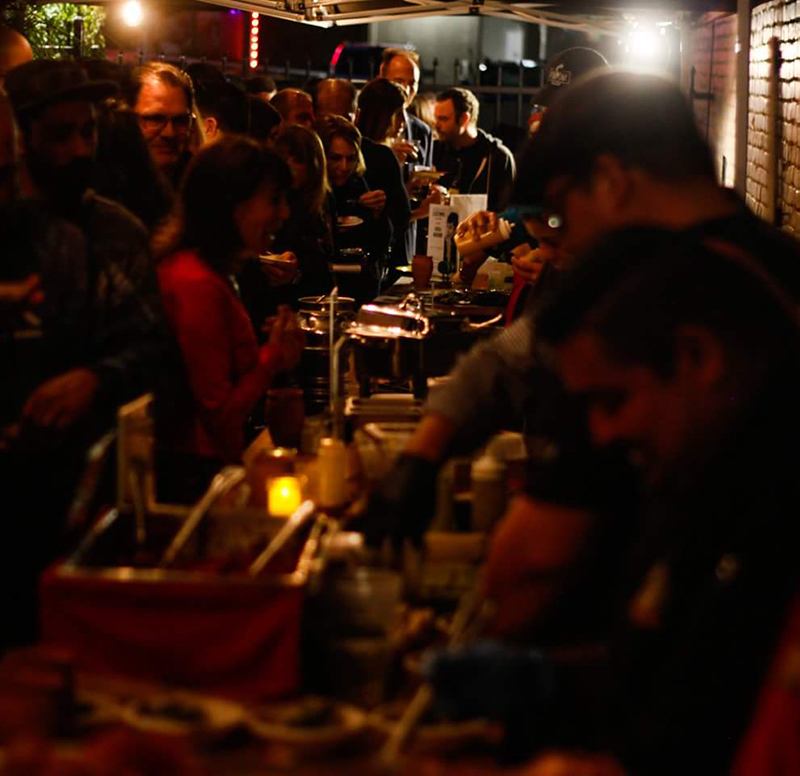 The space itself is a place for private parties, corporate meetings and weekly events hosted by Chef Flor Franco or the myriad of fantastic organizations who use the space to promote their work. opens it’s doors to our friends from across the industry for pop-ups, classes and collaborations. for special cultural and culinary events. Check in on our schedule of events for the next workshop. we celebrate life, imagination and connection. 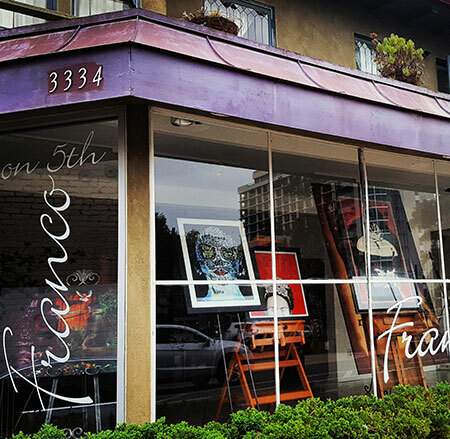 There is so much to see and be a part of here at Franco on 5th. 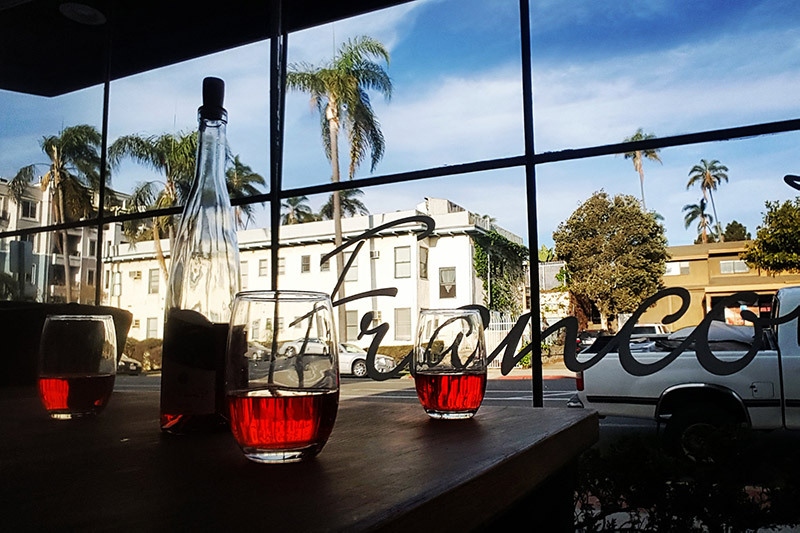 “When planning a wake for my Mom's friends and family here in San Diego, I immediately thought of my friend chef Flor Franco and her light, spacious and comfortable new entertainment space, Franco on Fifth. Having known Flor for several years, the food was a no-brainer. There was never a doubt that she would hit it out of the park. Mom had simple tastes, and one of her favorites was a Bob's Big Boy burger. Flor and her team took that cue and ran, creating a delicious gourmet burger made with high-quality ingredients on heavenly buns with garden fresh vegetables and a series of creatively blended condiments. And it was all served with a side of truffle fries with a cold and delicious butterscotch milkshake - another of Mom's favorites - for dessert. I would HIGHLY recommend Franco on Fifth for any occasion. Their experience, high level of quality, care and attention to detail cannot be beat.